My wife had been gently asking about “our” conservatory for a long time. 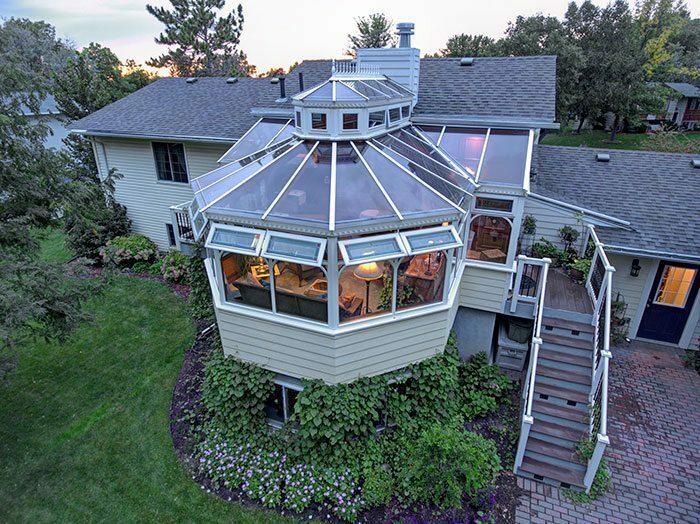 Frankly, every conservatory that we’ve designed and built has been very special to me. 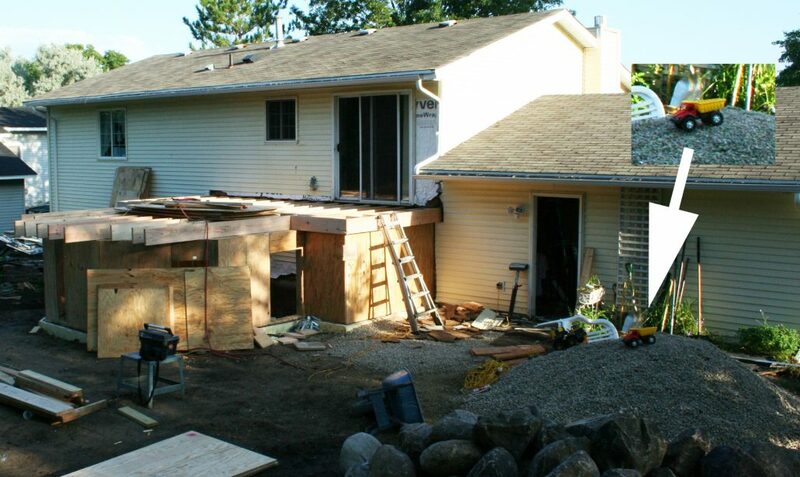 As you may have read in our clients’ testimonials, I often go back to visit past projects and old friends just to make sure all of our “babies” are still healthy and happy structures. 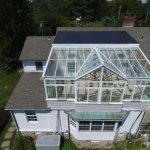 The downside of that was that every new conservatory, greenhouse or orangery we built had some cool accessory, or design feature, or technology that I just have to incorporate into our conservatory. And that made me procrastinate. Then, fate stepped in. My son, Michael, and I had been invited to the Chelsea Garden Show (officially the Chelsea Flower Show in London) a few years ago. The public can purchase day tickets, however we had been invited by a member of the Royal Horticultural Society as special guests. As such, we were able to go behind the scenes and visit venues that were closed to the public. 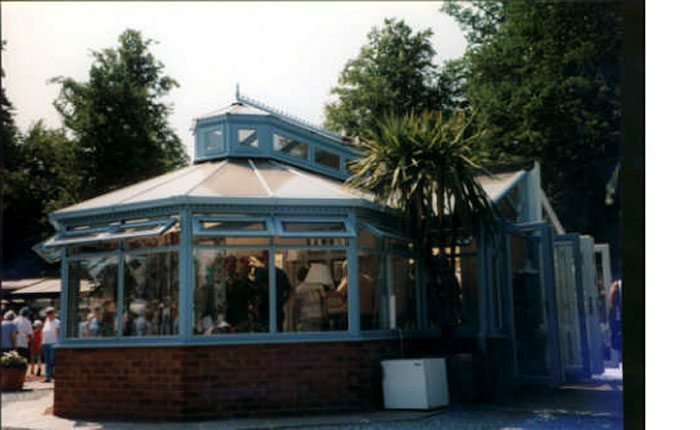 One of our British suppliers, a distributor of structural materials, had built and shown a fully-constructed conservatory in their commercial display area. It was gorgeous (see photo at show). Later, we were able to view the disassembled conservatory at a nearby warehouse. Michael, always the man of action, asked if the conservatory was available for sale. Within days we were headed back to Minnesota with a bonafide, “As seen at the Chelsea Flower Show in London” conservatory following after us in a big shipping container on one of those huge ships. 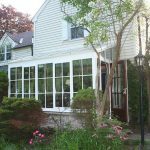 By the time the conservatory arrived we had already torn off the old deck and put in new foundations. It became a family affair with everyone gathering together to make a memorable event of the whole unpacking, assembling and finishing process. 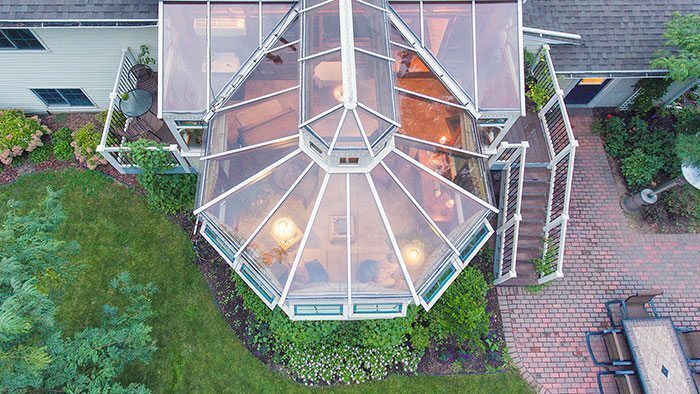 Each one had a special hand in creating our perfect conservatory. Even the toddler grandchildren contributed to the fun (see the arrow pointing to the heavy equipment on the gravel pile).